A former U.S. Marines Corps training base during WWII, this abandoned area slowly morphed into Slab City in the ’60s when the first waves of migrations arrived. Today, the land is occupied by 200 permanent residents living in their RVs or makeshift dwellings and it’s a community mainly made of retirees and artists of all ages. 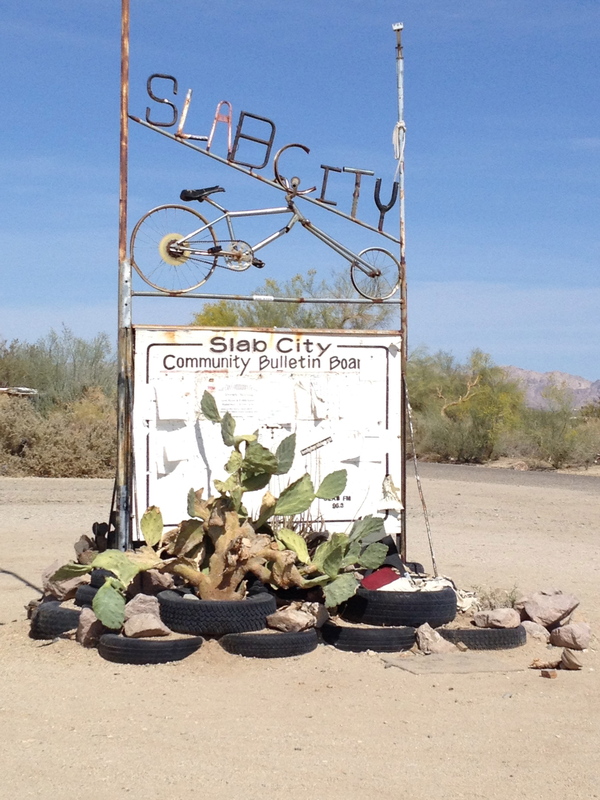 It’s precisely the lack of water, electricity, and gas that makes the residents of Slab City so resourceful and skilled in finding ways to survive. Here, imagination and creativity run wild and this community thrive on ingenious ideas to beautify their surroundings. 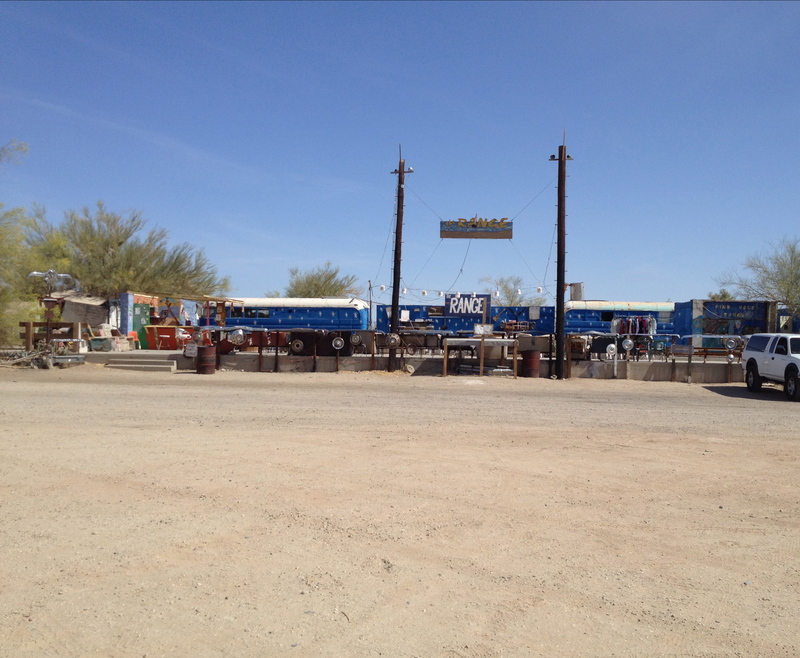 Every camp has its own flavor with “front yards” made of repurposed materials such as cans, wood, iron, etc. There are several different communal spaces including a cafeteria, a library, and an outdoor performing stage. East Jesus is the area within Slab City with the most artistic compositions — the people living there attempt to use and recycle every bit of consumable trash. 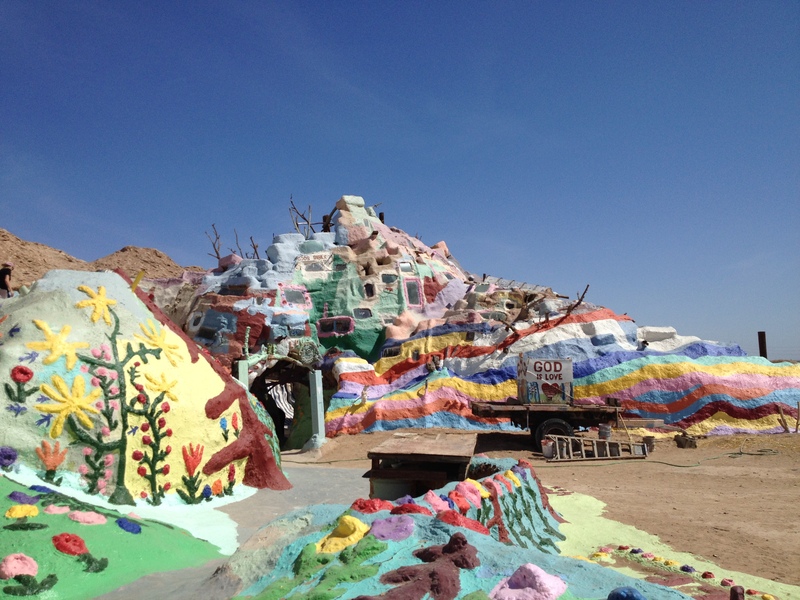 But the most eye-catching part is the colorful Salvation Mountain, located right at the entrance of Slab City. This installation made of adobe, straw, and gallons of paint is the work of Leonard Knight and is a love letter to God. 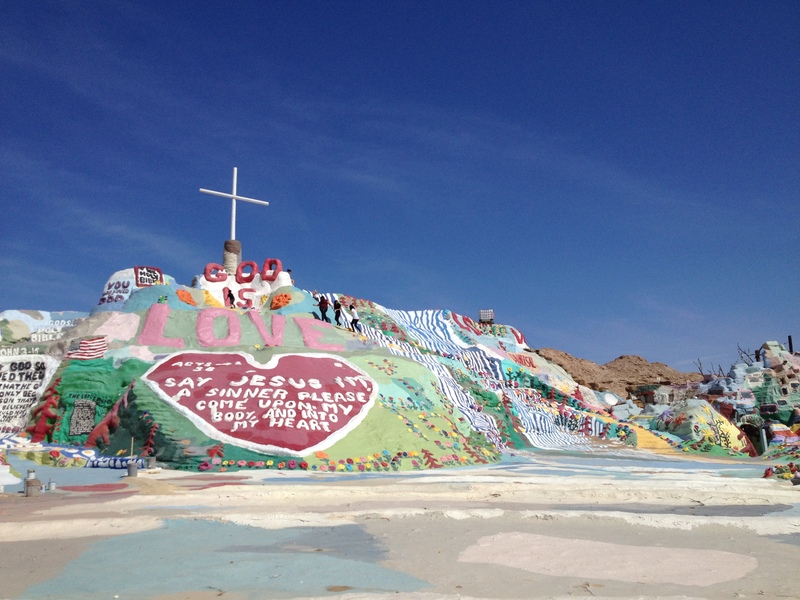 There are biblical references written everywhere on the hill and in the adjacent covered structure. Visitors are allowed to walk around the hill and take in all the holiness of this place.